The Lone Lands are so brown and dull, I needed a bright green punch to bring some joy to my Guardian. I just mixed and matched the expert (t3) level metalsmith recipes until I had a combination I liked. 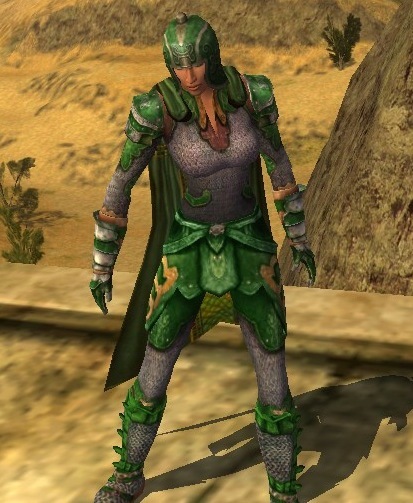 The elven chest and legs had a nice fitted look, with good pops of color on them, but the elven shoulders looked too intricate for the rest of the outfit, and the elven gauntlets have a plate covering that is a drastically different color than the rest of the set, so I used the dwarven pieces there. The plain steel boots keep the look very streamlined and clean, which I was a fan of. 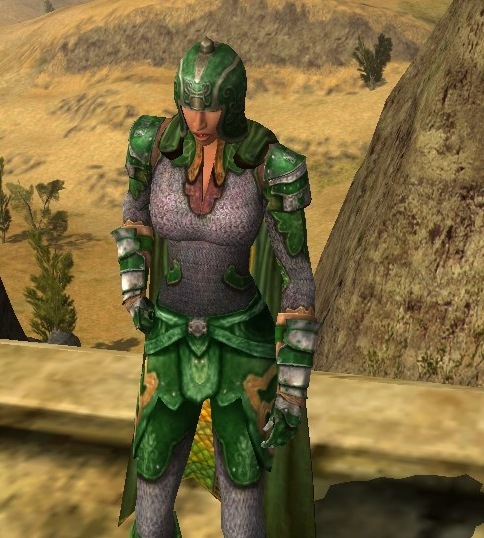 🙂 I had the circlet of men for casual questing, and would switch to the Helm of the Eglain Defender when entering a particularly dicey area. 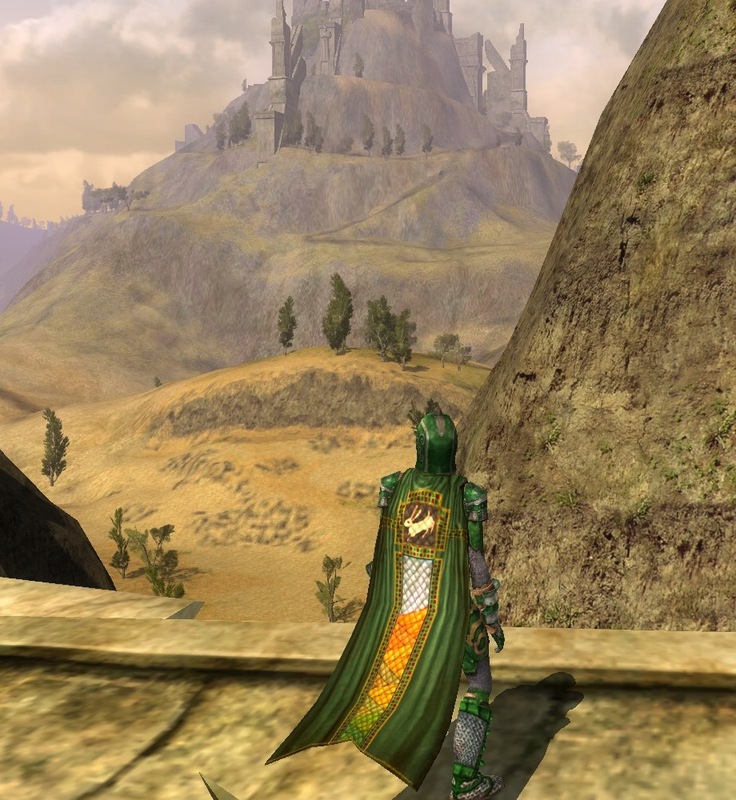 I had been running around the Lone Lands in this for quite a while, when it rained I would use the plain hooded cloak (available at any outfitter) dyed burgundy, both to contrast all the green and because it went with the trim on the shirt. When I finally turned 30 and could equip the Cloak from the Men of Bree, I was shocked at how perfectly it all went together. I looked so professional!